People chew gum for all sorts of reasons; boredom, fresh breath, flavor, and for some, usually of the younger set, bubble-blowing qualities. It’s likely that we all interact with chewing gum in one way or another quite regularly. People have been chewing gum, in various forms for thousands of years; ancient Mayans munched resin lumps from the sapodilla tree, northern Europeans chomped birch bark, and Native Americans crunched on lumps of spruce tree resin. The first time gum, in the form we recognize today, was sold commercially was in 1848. What Are the Benefits of Sugar-Free Chewing Gum? While gum that is packed with sugar and chemicals is definitely not something Dr. Hill is going to advocate for (those types of chewing gum are harmful to your teeth! ), sugar-free gum can actually help protect your teeth from decay. Chewing gum stimulates your production of saliva, which is the mouth’s natural plaque and acid fighter. 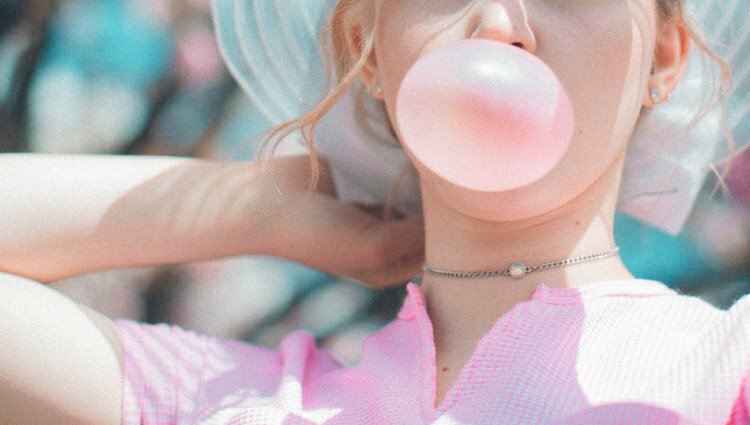 Chewing gum increases saliva production tenfold, which helps sweep away food particles, as well as neutralize and wash away acids that cause tooth decay. What Types of Chewing Gum Should I Chew? When choosing gum, look for ones that are sweetened with xylitol, a naturally occurring sweetener that studies have shown can reduce the amount of cavity-causing bacteria in your mouth. Although chewing sugar-free gum in between meals can help you have great oral health, it’s not a habit that will exempt you from regularly brushing, flossing, and attending biannual cleanings and checkups with Dr. Hill and the team at Hillsboro Village Dental. We look forward to helping you and your family to achieve happy and healthy smiles.